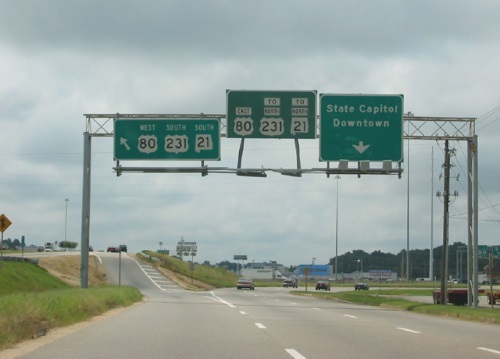 A 66-page report issued by the Alabama Department of Transportation in late January is being viewed as a tool for mapping out the state’s infrastructure needs for the next 20 years – especially in terms of determining capacity needs and how to generate the funds to build it. “Infrastructure demand for the next 20 years is expected to focus on well-constructed and maintained roads and bridges with sufficient capacity and consideration for safety to enable efficient freight and passenger movement across the state,” the report noted. However, the report noted that the number of registered vehicles and vehicle miles traveled are increasing at a more rapid rate than the system has been adding capacity to accommodate them. From 1990 to 2015 the number of lane-miles increased 14 percent while Alabama’s population increased 20 percent. At the same time, registered vehicles increased 46 percent while vehicle miles traveled increased 57 percent – all while transportation funding has declined. Additional funding will also be needed to address demand for new capacity between now and 2040, the report added; ranging from $12 billion in its “minimum competitive scenario” to $16 billion in its “optimum scenario” and beyond. “Put annually, those translate to an additional $600 million for the minimum competitive scenario or $800 million for the optimum scenario,” it said. To generate additional funding, the report’s “working groups” suggested that indexing the state’s motor fuels tax to inflation will be one way to ease that funding crunch. “For Alabama, indexing gas and diesel taxes would have raised between $1.3 billion and $5.3 billion above the amounts derived from the existing 18 cents per gallon gas and 19 cents per gallon diesel taxes between 1992 and 2016, depending on the selected index,” the report noted.